Plastic Surgery Billing Services in Alabama, California, Texas, Florida, Ohio, Illinois, Maryland, Michigan, Missouri, New Jersey, NJ, New York, NY, Oklahoma, Pennsylvania, San Antonio, Tennessee, Georgia, Houston. A Medical billing service supports the medical industry to grow as a giant structure. Without proper billing services there are no chances for the medical industry to survive between hardest financial storms. A billing service can only know about all the services which are happening inside the medical industry. One such branch of medical industry is plastic surgery, which deals with restoration of parts of body. The plastic surgery can be done for the restoring beautiful parts of the body which can provide good income to the medical industry. These are some of the types of surgeries. Each may differ from one another and it is little hard to enter right terms for accurate bills. But the billing services become easy when you are getting connected with our services. We offer best services for easy billing and we assure to provide right terms for claiming reimbursements. This code is for malignant neoplasm of external layer of upper lip. This code is for malignant neoplasm of external layer of lower lip. This code is for malignant neoplasm of external lip in cases of unspecified parts. This code is for performing cosmetic surgery. This code is for deviated nasal septum. These are just some of the sample codes which we have implemented in our software and most of our clients have got no complaints with our documents still date. We are giving quality product which is being experienced by many of our high class clients. Here are some of the lists of benefits which we provide in our medical coding services. We have got 12 years of experience in dealing with every single terms of plastic surgery. We can even provide training to your staffs with our qualified experts in this field. We can suggest some of the trainees who are ready to work for your medical industry. By getting some of these powerful resources, your medical industry will create a new record of bills without any errors. These are just some of the benefits which are available in our set of medical billing services which can really help people to work without stress in medical industry. The data of each and every patient performing plastic surgery will be stored in software and we give backup facilities also. With the usage of electronic storage we ensure there will be no damage or misplacements of files. Any information regarding to patient file can be retrieved easily without any stress. 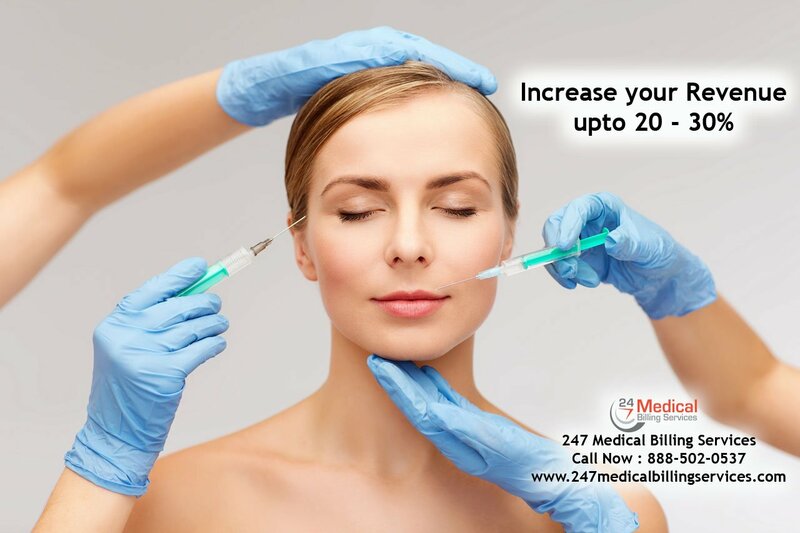 Get connected with our billing services to make your plastic surgery bills hassle free.